Most of Australia’s native vegetation cover, over 75% of that predating the 1788 Colonial Invasion, has been ‘cleared’ – a euphemism for deforested, logged, destroyed, killed. Today, as one travels around Australia and sees vasts areas of unproductive, degraded, denuded and abandoned farmlands – one questions why destroy more fragile environment? Yet the exploitative bastards are still hell bent on killing more native forest and bushland, even though they can’t properly manage the ‘already ‘cleared’ lands they’ve got. It is a short sighted insatiability, harking to a 19th Century ‘old blighty’ mindset of taming the land. It is deluded thinking that just because the native vegetation is green and looks fertile that it can be replaced for pasture and cropping and that new cleared land will be any different to that already cleared. The Liberal-Labor governments and their rural National mates haven’t given a toss throughout the entire 20th Century and still couldn’t give a toss. Still across Australia in 2011, thousands of hectares of native forests continue to be deforested – albeit for farming, logging and development, or just bizarre bushfire abandonment. Not only is this occurring on private land, but in State Forests, which most people think are protected. Native forests on land are being cleared branded by State governments as ‘State Forests’ are simply not protected. The native trees, flora and fauna are not protected from logging, bushfire, State-sanctioned arson (aka ‘hazard reduction‘), State napalming (aka indiscriminate ‘hazard reduction‘), indiscriminate State aerial poisoning with 1080, wildlife poaching, 4WD hooning, trail bike hooning, or even backpacker murdering. The watercourses (and the interconnected groundwater aquifers), that flow through State Forests are not protected from fishing, stormwater run-off, mine tailing contamination, farm pesticide and herbicide, industrial pollution. Yes, even our National Parks and Wildlife Service sets indiscriminate fires to National Parks! 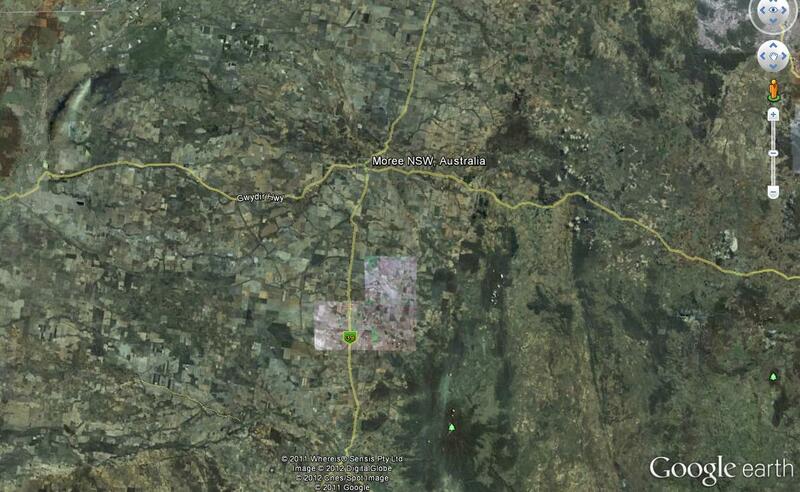 For the likes of taxpayer funded government industrial loggers ‘State Forest’ is a euphemism ‘for not logged yet‘. This applies to the likes of Forestry Tasmania, VicForests, Forests NSW, Forestry SA (spot the naming trend), as well as the more aptly Queensland Department of Primary Industries and Fisheries, and likewise the Forest Products Commission of Western Australia. It seems that doesn’t matter whether there is proof that there is an endangered and protected species such as the Long-Footed Potoroo in the Cann Valley State Forest or Drummer State Forest in Victoria, or protected Koalas in the Murrah/Mumbulla State Forests of New South Wales, or three identified endangered species, the wedge-tailed eagle, the swift parrot and the wielangta stag beetle in Tasmania’s Wielangta State Forests, the Liberal-Labor governments of those States turn a blind eye to deforestation. It is only when self-funded local communities take the respective government logger to the Supreme Court and win that logging stops momentarily, such as in the recent Victorian Supreme Court case Environment East Gippsland Inc v VicForests  VSC 335. 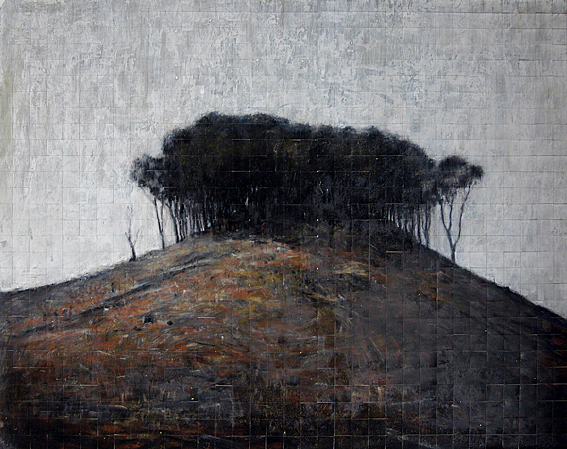 In 2006, the Victorian State Government committed to increasing the conservation parks and reserves within the broader Brown Mountain area. Disregarding its elected master and ignoring any concerns for the ecological Precautionary Principle, State industrial logger VicForests, got stuck in with its mechanical clearfelling of old growth forests in the Brown Mountain area. Not-for profit group Environment East Gippsland (EEG) self-funded and obtained numerous studies of the area indicated the presence of important threatened and rare species. EEG requested the Minister for Environment and Climate Change, Gavin Jennings, to make an interim conservation order to conserve critical habitat of the endangered Long-footed Potoroo, Spotted-tailed Quoll, Sooty Owl, Powerful Owl and Orbost Spiny Crayfish at Brown Mountain. Even then, the Minister for Environment and Climate Chang did not grant a conservation order, but instead increased the conservation area surrounding Brown Mountain. It took the overriding legal authority of the Supreme Court to stop the Victorian Government and its delinquent logger trashing protected old growth habitat. 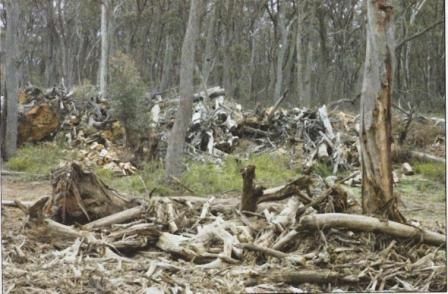 In March 2010, Forests NSW began controversial logging operations in the Mumbulla State Forest, south of Bermagui on the state’s far south coast. Despite being criticised, after a recent survey identified the forest as a key colony for the region’s remaining koala population, Forests NSW Regional Manager Ian Barnes says the logging must go ahead across 240 hectares of the forest, in order to satisfy a supply agreement with the timber industry. It’s a ‘wam bam thank you mam’ approach no different to what the Vikings did to the British in the eight Century. Colonial Australians and their descendants are doing the same to Australian ecology in the 19th, 20th and 21st Centuries. Despite assurances, anti-logging campaigners have organised a vigil in the forest in an attempt to stop the logging. 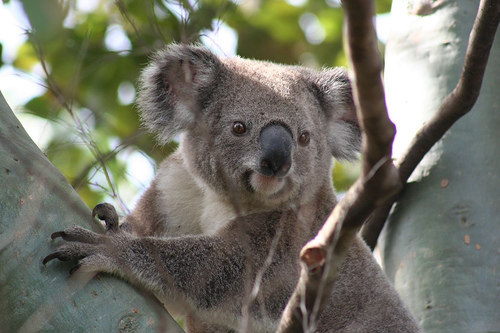 Conservationist Prue Acton says the activity will devastate the koala population. The Greens MP Lee Rhiannon says the Premier should put the protection of koalas ahead of the interests of logging companies. “The New South Wales Government has refused to end logging in the south east native forest but they should step in and stop the destruction of the koala habitat,” she said. The amount of bushland being cleared by logging in NSW soared last year to the highest level since state-wide records began in 1988. An area equivalent to 138,400 football fields was cleared for crops, forestry or infrastructure, says a government report. The Office of Environment and Heritage said the rise in logging was probably cancelled out by regrowth, leading to no net loss of trees, though its most recent survey took place in 2008, before the land clearing spike. 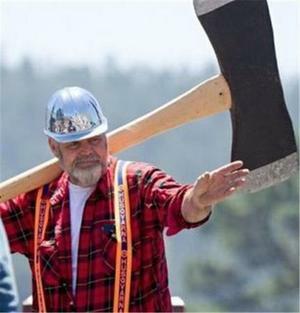 It said the reasons for the logging increase were unclear. Environment groups said the annual vegetation report was evidence that logging companies were operating in an unrestrained manner. Bushfires remain the biggest destroyer of forests in the state, leading to a net loss of 48,300 hectares in 2010, the report said. 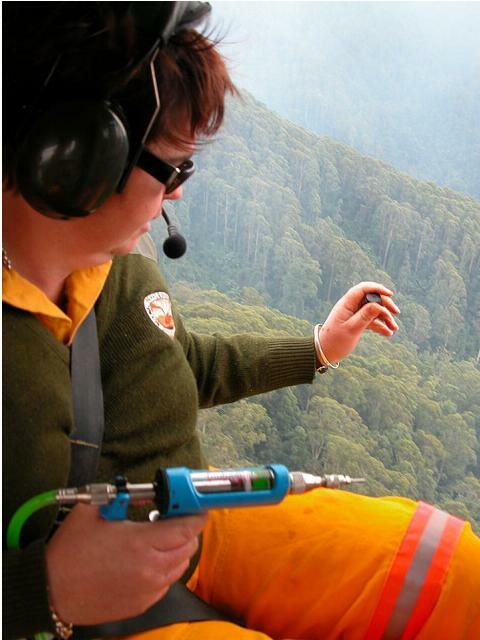 But logging activities now come a close second, accounting for the removal of 42,700 hectares of trees in 2010. This is up from 31,000 hectares the previous year, and an average of about 21,000 hectares a year since 1988. About 21,200 hectares of bushland was cleared in 2010 to make new areas for crops and grazing, while 5300 hectares were cut down to make way for roads, factories and housing. The most recent State of the Environment report found that there had been no net loss of ”woody cover” across NSW between 2003 and 2008. 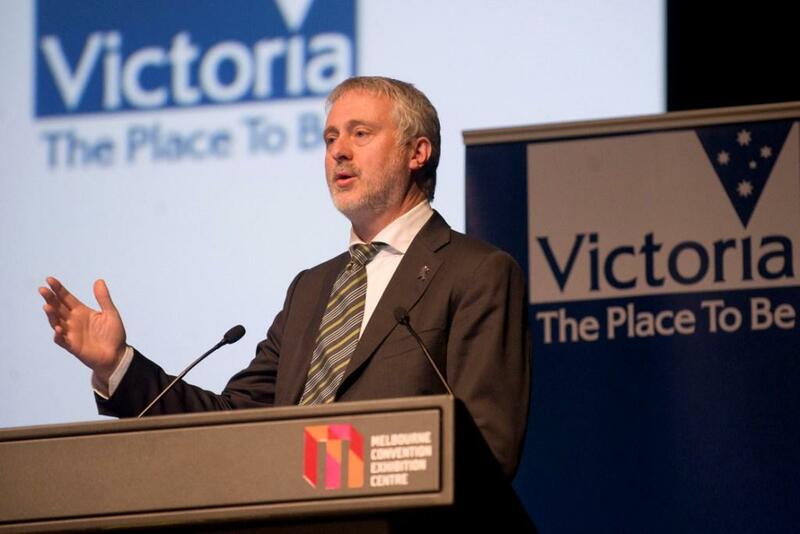 ”This is because, although clearing has occurred over that period, there has also been an equivalent amount of regrowth including government sponsored environmental and forestry planting programs conducted by private landholders and state forests, within crown forests areas,” the department said. The report uses the international definition of ”woody cover”, which includes land at least 20% covered by the crowns of trees higher than 2 metres, a description which would include relatively open country. 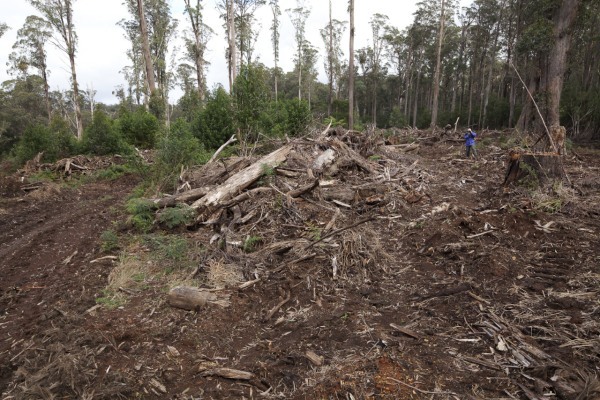 The introduction of a satellite monitoring system for land clearing last year appears to have increased the level of prosecution for illegal land clearing on private property. On crown lands, the number of prosecutions has increased threefold, from a low base, since 2007. In 2010, the government received 471 reports of suspected illegal land clearing. NSW Department of Environment Climate Change and Water (DECCW) today began a high tech education campaign to encourage compliance with native vegetation laws by sending letters to landholders including before and after satellite pictures identifying land clearing. DECCW Director-General Lisa Corbyn said the letters were part of an ongoing education program to encourage compliance with the laws and inform landowners of the proper channels available to them if they want to clear native vegetation. “We’ve been using satellite technology for some time to identify changes in vegetation cover that may warrant further investigation,” Ms Corbyn said. Ms Corbyn said the letters aim to inform to the landowner that the satellite imagery has picked up that vegetation had been cleared and highlight the proper channels available to them under the legislation to allow clearing of native vegetation, such as property vegetation plans. The letters support other tools used by DECCW to encourage compliance with the legislation, including strategic investigations, prosecutions, penalty notices, stop work orders, remedial directions, warning and advisory letters. The letter also alerts landowners to incentive funding available to restore and protect native vegetation on their properties. The Native Vegetation Act was introduced in 2003 to bring an end to broadscale land-clearing in NSW. Since then, more than 400,000 hectares of native vegetation has been conserved or rehabilitated on private land through property vegetation plans (PVPs) and 1.6 million hectares has been managed for thinning and invasive native scrub management. 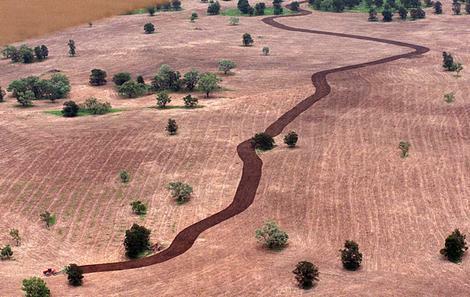 Over 60 % of the native vegetation in NSW has been cleared, thinned or substantially disturbed. The equivalent of up to 200,000 football fields may be illegally stripped of native trees and grass each year in NSW, figures suggest. The first estimates on the extent of the clearings, which the Department of Natural Resources field staff prepared for the Government’s vegetation taskforce, suggest the figure could be as high as 100,000 hectares a year. The figures show between 150,000 hectares and 560,000 hectares were illegally cleared between 1997 and 2002. The advice is the first official guess at NSW’s illegal clearance levels. The highest rates are in the Barwon, Central West and Far West regions where much of NSW’s remaining native vegetation is located. The figures have shocked environmentalists, who stress the urgency of making changes to the state’s natural resource management system, which Parliament is debating this week. A Wilderness Society campaigner, Francesca Andreoni, said: “The new system needs to be fair to everyone, particularly farmers doing the right thing. Figures recording the rate of illegal land clearing each year are almost impossible to compile because it so hard to charge people who breach native vegetation laws. There is also a complicated system of exemptions which allow people to clear land for purposes such as maintaining fire access trails. Monitoring illegal clearing is potentially dangerous for departmental compliance officers. After reports of illegal clearing earlier this year on a property near Nyngan, in the state’s west, department officers were prevented from entering the property by an angry crowd of up to 150 people. When the amount of land illegally cleared is added to land that is legally approved for clearance, the department estimates between 700,000 hectares and 1.3 million hectares of land were cleared between 1997 and 2002. The figures suggest clearing was faster than the Department of Natural Resources’ previously admitted figure of about 60,000 hectares a year. 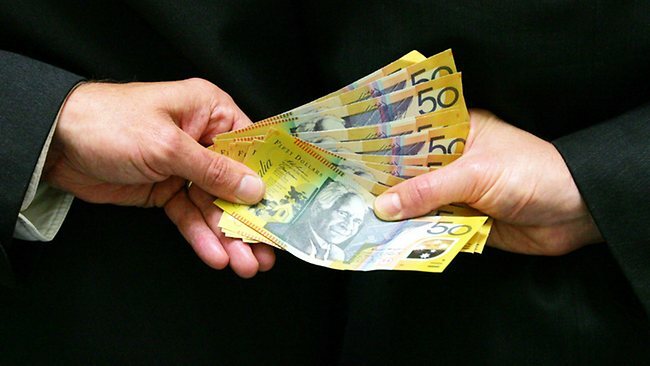 That figure would give NSW the second-highest clearing rate in the country behind Queensland. Debate on the Government’s package to overhaul native vegetation laws, based on an election promise to end broad-scale clearing, will take place this week. Last month the Premier, Bob Carr, announced a $406 million deal between farmers and environmentalists to end broad-scale clearing. Most of the money is expected to go towards such things as tree planting and fencing waterways to help counter salinity and erosion. But local authorities may also compensate farmers for not clearing land. Clearing will still be allowed where it is deemed environmentally necessary. Under the new system, natural resource management is being overhauled. Thirteen catchment management authorities will replace 19 catchment management boards, 20 regional vegetation committees and 33 water management committees. 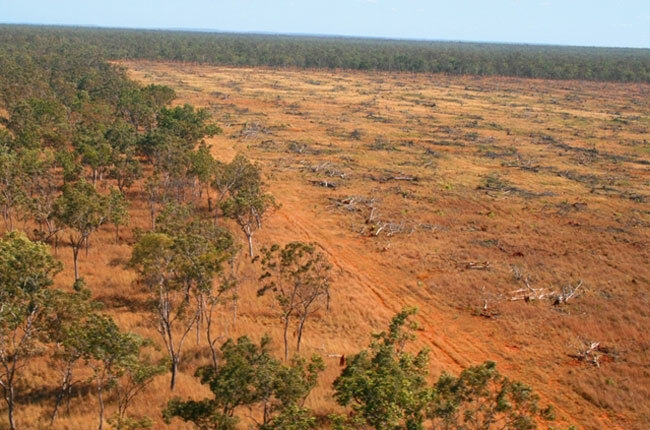 Scientists often name land clearing as one of Australia’s most urgent environmental concerns. It contributes to soil salinity, loss of biodiversity and greenhouse gas emissions because carbon dioxide is released into the atmosphere when the cleared timber is disposed of, usually through burning. Environment groups have banded together to criticise the level of logging occurring in New South Wales. The Nature Conservation Council, The Wilderness Society, National Parks Association, the Northern Inland Council for the Environment and the North Coast Environment Council have issued a joint warning that iconic and endangered species are being threatened by land clearing. In a joint press release, the groups said the NSW annual report on native vegetation released by the Office of Environment and Heritage (Ed. yet another money wasting name change) this month showed 2009/10 was the “worst year on record for clearing of native bushland”. The Wilderness Society campaigns manager Belinda Fairbrother said the report showed that in 2009/10 an area equating to 138,400 football fields was cleared for crops, forestry or infrastructure. “This is higher than any other year since records commenced in 1988 and shows the NSW Government has failed in its promises to restrain land clearing, resulting in rapid and accelerating degradation of wildlife habitat and water catchments,” she said. North Coast Environment Council president Susie Russell said the report made a sad end to the International Year of Forests. “The area cleared for forestry in 2009/10 was almost five times greater than it was in 1988/89,” she said. Nature Conservation Council chief executive officer Pepe Clarke said land clearing was recognised as the single greatest threat to wildlife in Australia. “It causes the death of birds and animals, the extinction of species, leads to the poisoning of soils from salinity and makes a major contribution to global warming,” he said. This entry was posted on Saturday, January 7th, 2012	and is filed under Koalas, Owls, Quolls, Threats from Bushfire, Threats from Deforestation, Threats from Farming.